First published in 1938, these lectures argue that liberality is the foundation of civilization. 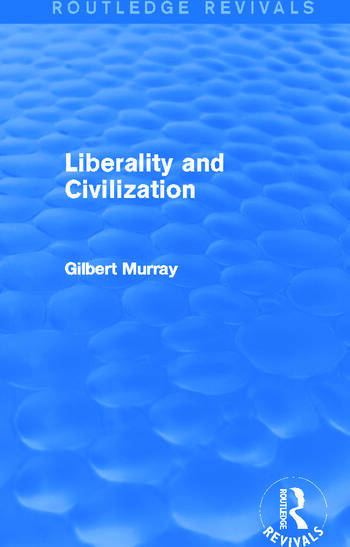 According to Gilbert Murray, civilization provides the surplus of security, leisure and wealth that makes liberality possible; a failure of liberality is the surest test of the failure of a civilization. This is a fascinating reissue that will be of great value to students with an interest in political philosophy and the foundations of liberal society.